Mars has gas, and Curiosity finds organic matter -- fuzzy signs of life? (CNN) -- It could be a sign, a vague one. A NASA rover has found the building blocks of life on Mars. They might be the product of past or present life on the Red Planet -- or they might not be. Either way, the samples of organic matter in the atmosphere and in rock show that Mars may at least have once had conditions favorable to hosting life, NASA said in a statement. They also show that the planet is still chemically active. The Curiosity rover's tapping into organics in rock is the first find ever of life's building blocks on Mars' surface. Could humans walk on Mars? 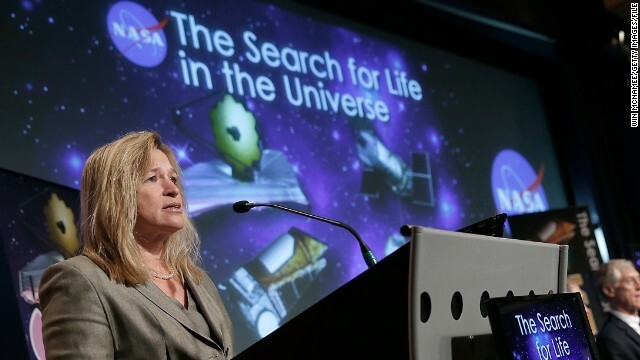 NASA chief scientist, Dr Ellen Stofan, wants to land people on the "Red Planet" by the mid-2030s. It's likely to be tougher than this image of researchers at the Mars Desert Research Station in Utah, sponsored by the Mars Society. "It's part of the human character to want to know what's over the next hill, to want to know what's beyond," said Stofan (pictured). "It's that curiosity and desire to find out. NASA and other space agencies around the world enable that." Her comments come as the European Space Agency landed a probe on a comet. NASA's jet propulsion lab also played a role in the Rosetta Mission, which hopes to unlock the secrets of our universe. "That comet is the most bizarre, wonderful thing I have ever seen," said Stofan. "No one has ever gotten data like Rosetta has gotten. 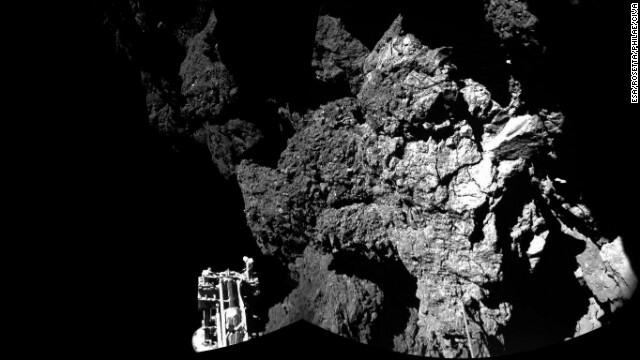 No one has ever been able to land on a comet the way Philae just did." 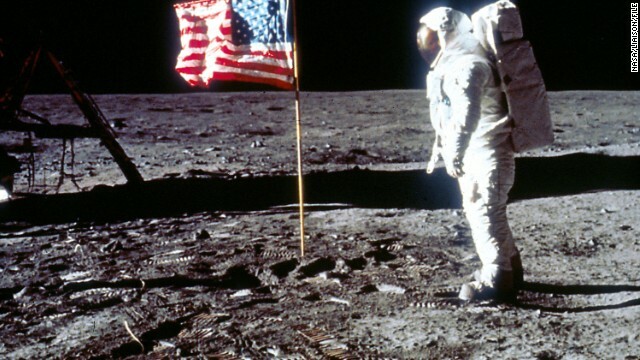 It wouldn't be the first time NASA has landed on Mars -- albeit without humans on board. 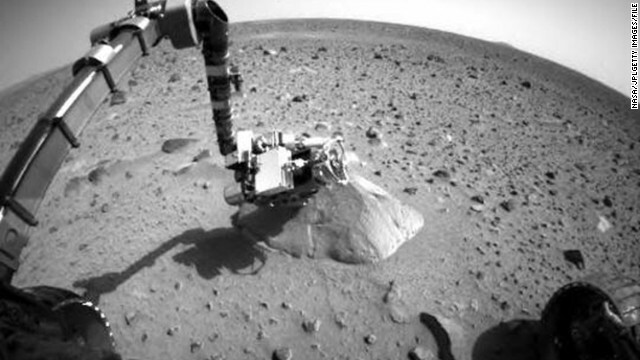 Here, the rover 'Spirit' sends images of the "Red Planet" back to Earth in 2004. The mission lasted until 2010. Sadly, among NASA's triumphs have been tragedies. 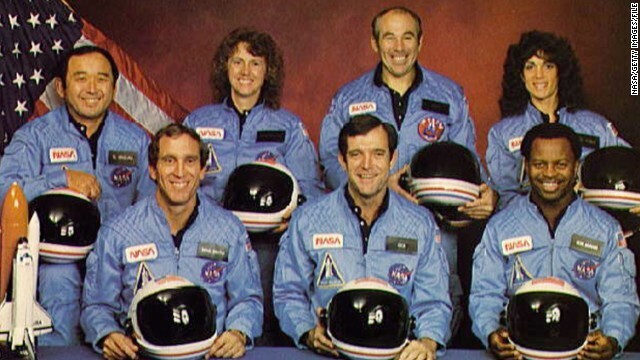 In 1986, the seven members of Space Shuttle Challenger died after their rocket broke apart 73 seconds after launch. 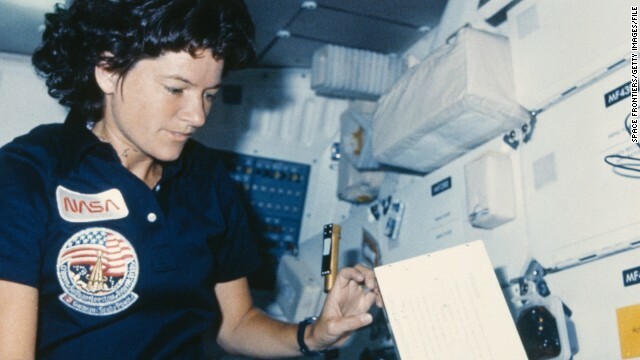 In 1983 Sally Ride became the first American woman in space. And while many more women have worked at NASA since then, Dr Stofan says there's still work to do encouraging females in STEM (science, technology, math, engineering). "So many people I talk to who work in technology, you ask them 'what got you interested in science?' and those from my generation say 'the Apollo landings,'" said Stofan. "I've worried for a while, what are we doing now that's inspiring that next generation of scientists?" 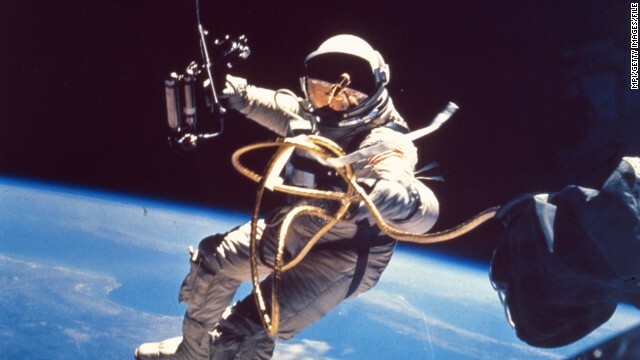 Images like this, of Edward White becoming the first American to walk in space in 1965, captured the imaginations of a nation. 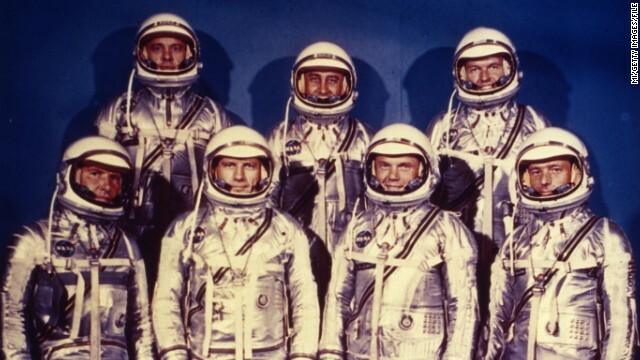 Despite its name, these seven NASA astronauts didn't land on Mercury. Instead, they were part of a mission to orbit the Earth, running from 1959 to 1963. 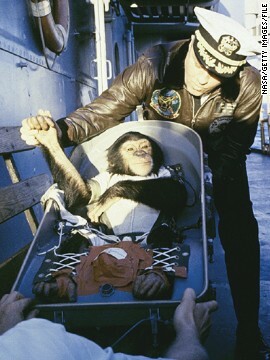 NASA's celebrity animal astronaut, Ham the Chimpanzee is greeted after landing at sea, after a flight into space in 1961. The rover has run into pockets of gas on Mars: methane, often used to fire up gas stoves back on Earth. Organic matter is made up of carbon bonded with other elements, often hydrogen and oxygen. Living things are made up of it, but life is not necessary for it to exist. Methane is the smallest organic compound, consisting of one carbon and four hydrogen atoms. On our planet, methane is a fossil fuel, but it can also rise out of rotting sewage or fly through the air in flatulence. In other words, it usually comes from something living, or something that was once alive. That could be the case on Mars, too, NASA said in a statement this week. But the space agency carefully points out that methane can also come from inanimate sources as well. 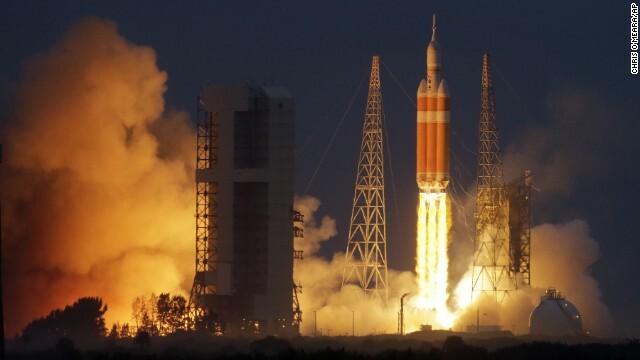 NASA's Orion spacecraft, atop a Delta 4-Heavy rocket, lifts off on its first unmanned orbital test flight from Cape Canaveral, Florida, on Friday, December 5. 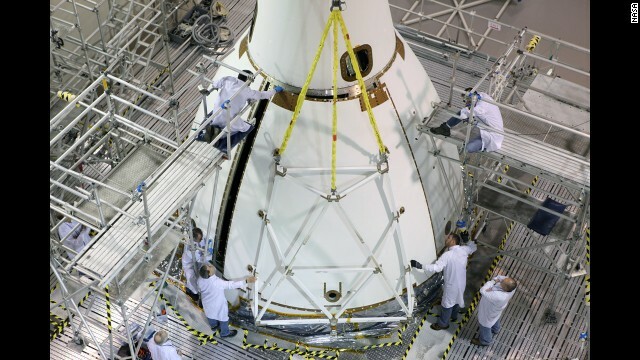 NASA hopes Orion will usher in a new era: eventual human exploration of deep space. 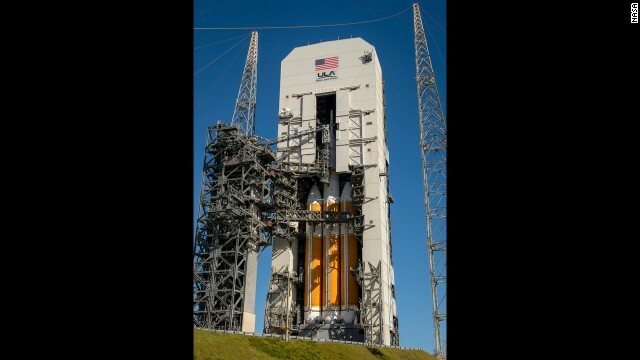 Orion sits on top of a Delta IV Heavy rocket on the launchpad at Cape Canaveral on Wednesday, December 3, waiting for its first test flight. Orion is designed to take humans to an asteroid and on to Mars, but its first flight will not carry a crew. 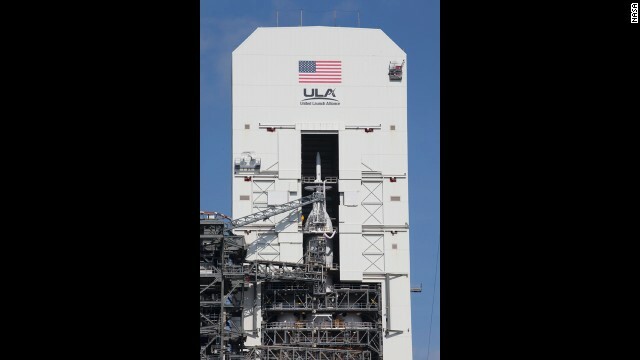 NASA's first completed Orion crew module sits atop its service module at Kennedy Space Center before being wrapped in protective panels and stacked on a Delta IV Heavy rocket for its first test flight. 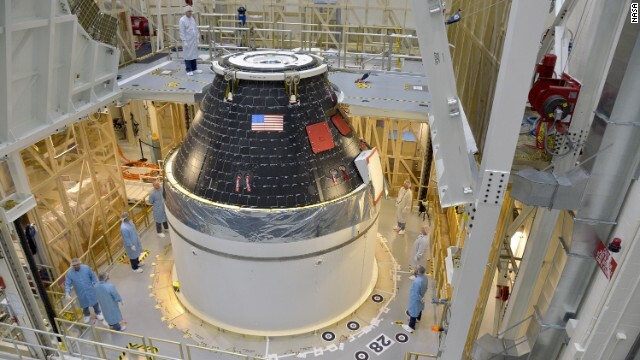 Workers finish wrapping Orion in protective panels for its first flight. The panels protect the crew module from sound and vibration during launch. Workers check Orion after its last major assembly operations are completed -- the installation of protective panels around the spacecraft just below the Launch Abort System tower. Orion is wheeled past the iconic Vehicle Assembly Building at NASA's Kennedy Space Center on November 11, 2014, on its way to Launch Complex 37 at Cape Canaveral Air Force Station. 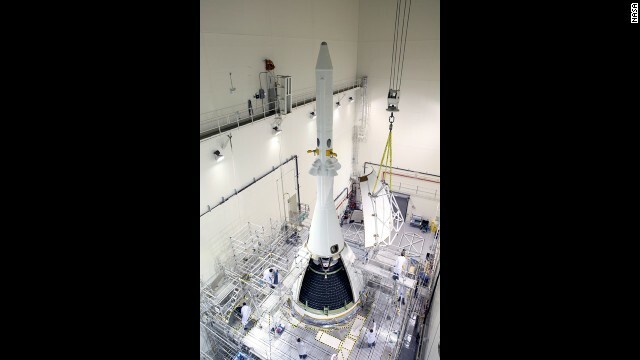 Orion is mated with a United Launch Alliance Delta IV Heavy rocket, the rocket that will carry it into space on its first test flight. 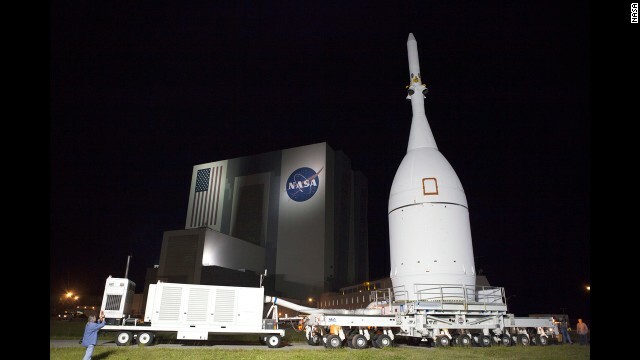 Orion sits on the launchpad at Cape Canaveral after being stacked on the rocket. Orion will take crews farther from Earth than any spacecraft since Apollo. 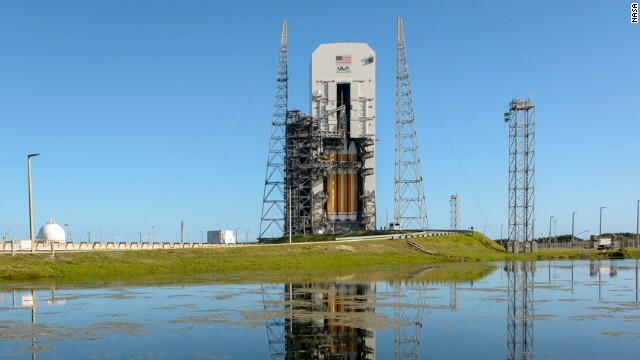 Orion will be the first U.S. spacecraft since the Apollo-era to splash down in the ocean. 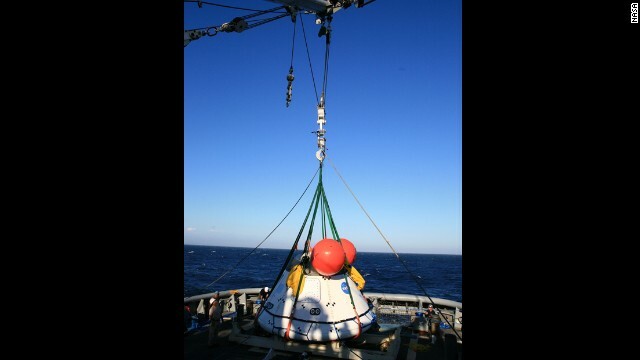 In this photo, crew members on the USNS Salvor pull a test version of the spacecraft out of the ocean using a crane. "There are many possible sources, biological or non-biological, such as interaction of water and rock," said Sushil Atreya, a scientist on the Curiosity team. At this point, NASA doesn't know if microbes are behind the gas or just minerals. Researchers used Curiosity's instruments a dozen times to get a breath of methane, and four of those times, it peaked at a level 10 times higher than usual. They believe it may have been puffed up from the ground like little burps. Curiosity also found organic matter while drilling into stone. "This first confirmation of organic carbon in a rock on Mars holds much promise," said scientist Roger Summons, who works on the rover team. These building blocks of life could have formed on Mars, or meteorites could have brought them there. Scientists aren't sure yet. Also, they can't be completely sure what molecules they are, because a coincidental chemical reaction that occurs in the detection device skews some of the samples. So far, they've also found no sign of microbes in the rock powder, neither present nor past. The history of water on Mars has also been a popular research topic. The analysis of hydrogen atoms Curiosity found in rock have led NASA scientists to conclude that much of Mars' former oceans disappeared very early -- before the rocks were formed.